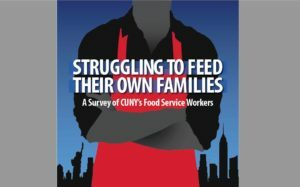 The RWDSU/UFCW’s Retail Action Project recently released a survey about the daily workplace and living conditions of food service workers who serve students and faculty members throughout the City University of New York (CUNY) system. 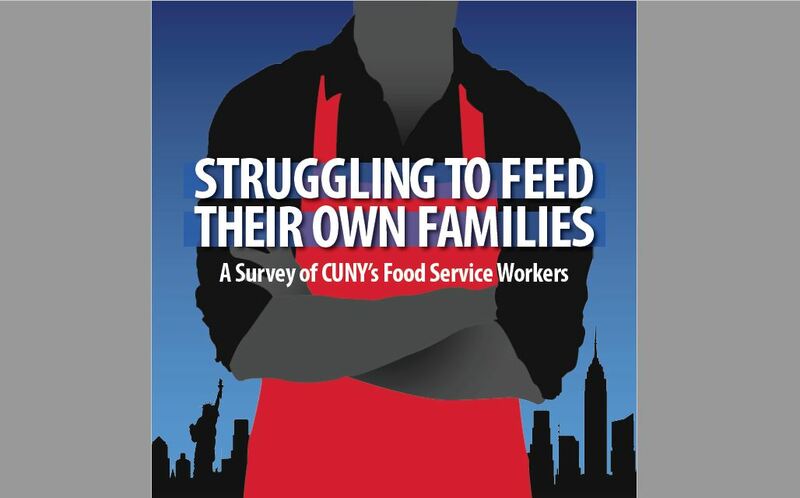 The report, titled “Struggling to Feed Their Own Families, A Survey of CUNY’s Food Service Workers,” includes responses from approximately 450 CUNY food service workers spread across 14 campuses in various settings from cafeterias to kiosks. CUNY serves more than 480,000 students at 24 colleges and institutions in New York City and employs over 41,500 instructional and classified staff. However, CUNY’s food service workers are employed by contractors and not considered classified staff. According to the survey, 50 percent of respondents reported an annual household income of $30,000 of less, and less than one-third of respondents reported receiving a raise other than a minimum wage increase. Nearly two-thirds of respondents reported that someone in their household received SNAP or WIC benefits, and nearly 80 percent reported that someone in their household received Medicaid. Only seven respondents reported that they have health insurance through their job, while almost half do not receive paid sick days. 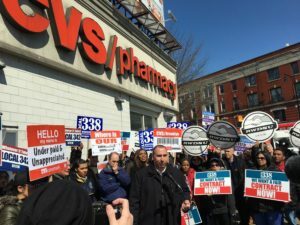 Members of RWDSU/UFCW Local 338 who work at CVS in Brooklyn, New York, called on CVS to negotiate a fair and equitable contract at a community rally on March 15. The Local 338 RWDSU/UFCW members there have been in negotiations for their first contract since March 2017, but the company has repeatedly rejected reasonable proposals. 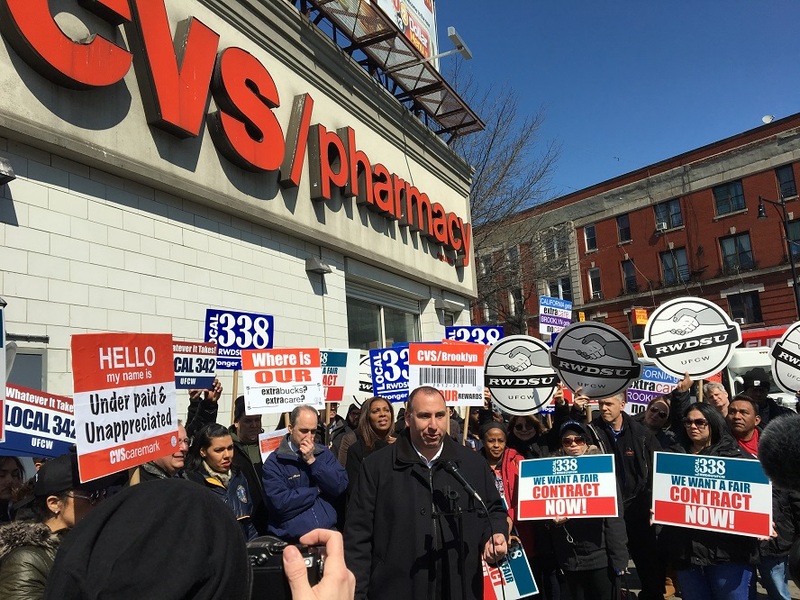 The CVS in Brooklyn is the first unionized CVS store on the East Coast, and workers there voted to join RWDSU/UFCW Local 338 in August of 2015. The company initially attempted to overturn the results from the union election, but the National Labor Relations Board overruled the appeal and recognized RWDSU/UFCW Local 338 as the workers’ bargaining representative last year. Since then, RWDSU/UFCW Local 338, along with a committee of workers at CVS, have attempted to negotiate a contract with the company. Currently, there are a few thousand CVS employees on the West Coast, including California, who are also members of the UFCW. The contracts in California provide a number of benefits and workplace protections for both full- and part-time workers, including living wages, health benefits, a retirement plan, and paid time off. CVS rejected RWDSU/UFCW Local 338’s initial proposal for a union contract that is similar to what union members on the West Coast receive. Instead, the company is insisting on keeping the Brooklyn workers at lower pay scales and benefit levels.